Exciting news for those who love Halo! 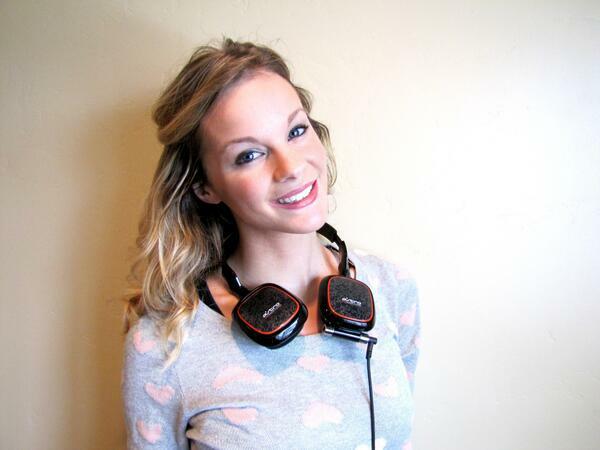 Yet another special guest from the gaming community will be joining us at Gamers for Giving 2014! Bonnie “Xena” Burton will be on site managing this year’s Halo 4 tournament! At the young age of 12, Bonnie Burton became Major League Gaming’s first professional female gamer in Halo. She competed in the league for five years before turning her attention to marketing, where she’s spent the last five years assisting various companies at major gaming trade shows across the US. Aside from her experience as a competitive player, Bonnie was selected as G4TV’s E3 Booth Babe in 2010, and has been featured for her skills as a gamer in publications ranging from Wired and USA Today, to ESPN and MTV’s True Life series. Don’t worry, Halo players. Bonnie will be participating in this year’s Gamers for Giving as the head moderator for our Halo 4 tournament. You won’t have to worry about running up against her in the brackets. We hope to see you at Gamers for Giving 2014 on February 8th & 9th! Halo 4 Team Passes can be purchased here. The competition guidelines for both League of Legends & StarCraft 2 have been posted! Players who wish to compete in either of these tournaments need only purchase a ticket in the BYOC LAN. All PC attendees are eligible to compete in the Gamers for Giving LANFest tournaments. Team information and registration will be conducted on site at the event. Settings for both tournaments can be found below. If you have any questions or comments, feel free to drop us a line via contact@gamersoutreach.org or on Twitter, @GamersOutreach. We’ve just uploaded the full list of settings for the Gamers for Giving 2014 Call of Duty Ghosts tournament. A full breakdown of the settings, gametypes, and rules for the tournament can be found here. Team passes for the Call of Duty Ghosts tournament are $160 online, and $200 at the door. Passes can be purchased here. Additionally, we also ask that all participating teams plan to bring their Xbox 360 Ghosts game discs to the event. While we are in the process of securing game discs for the entire tournament, it’s safest at this point for all participating players to plan on bringing their own. Should Gamers Outreach be able to provide all stations with game discs, an announcement will be posted on the Gamers for Giving website. We look forward to seeing you on February 8th & 9th at the Eastern Michigan University Student Center! We’ve got great news for folks who plan on participating in the Gamers for Giving 2014 League of Legends tournament! In addition to our guaranteed $2,250 prize pool, Riot Games will be supporting this year’s tournament by awarding RP to players who finish in 1st – 4th place! To make the pot just a bit sweeter, each player on the winning team will also receive a “Triumphant Ryze” skin, which is only available to players who compete and win supported Riot Games tournaments. Remember, if you wish to participate in the League of Legends tournament, you only need to purchase a ticket for the BYOC LAN. All tickets can be purchased here. We hope to see you February 8th & 9th at Eastern Michigan University! Registration for Gamers for Giving 2014 has opened! Team passes and tickets for the PC / console LAN party are now on sale! Tickets for all activities can be pre-purchased online through the Intel LANFest website, similar to last year. We recommend all attendees purchase their tickets in advance, as spots are only guaranteed once tickets have been purchased. Our event activities typically sell out, so it is highly recommended anyone interested in participating not wait until the day before or the day of. Remember, if you wish to participate in the League of Legends or StarCraft 2 tournament, you only need to purchase a seat in the LAN. All LAN attendees are eligible to participate in our PC tournaments. We hope to see you on February 8th & 9th at Eastern Michigan University! Register here. At last, the time has come! Welcome to the brand new GamersforGiving.org, the source for all the latest information related to Gamers Outreach Foundation’s annual fundraising event, Gamers for Giving! First and foremost, we’d like to send a big THANK YOU to Sean Farrell and Dan Philibin, who volunteered their time and talents to design this new website for us. Props guys! Gamers for Giving 2014 will take place on February 8th and 9th within the Eastern Michigan University Student Center. We’ll once again be teaming up with the Intel LANFest series and the student government of Eastern Michigan University to bring you a weekend of competitive gaming & LAN activities for console and PC gamers alike! Since its inception in 2008, Gamers for Giving has become one of the premier gaming events in the Midwest. In short, Gamers for Giving is a competitive video game tournament combined with a BYOC (bring your own computer/console) LAN party. Proceeds from the event’s activities are used to fund charity initiatives managed by Gamers Outreach Foundation, such as building portable gaming carts for children’s hospitals, and sending video game care packages to U.S. troops overseas. The event provides video game enthusiasts with an opportunity to combine passion for gaming with charitable action. Additional exhibition activities can be found in the Info section of our website. We’ll be releasing more information as the event draws close, so be on the look out for updates. We hope to see you at Gamers for Giving this February! Check us out on Facebook & Twitter if you’d like to stay in touch.